Lola Arruti: Excited to be part of this amazing project. 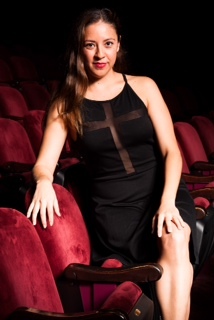 Recent AMDA graduate originally from Mexico. Credits in Mexico include regional theater: Dolly Que Tal, El Mago de Oz, Romeo y Julieta, several concerts, radio voiceovers, student films and print commercials. Credits in New York: showcases A crazy little thing called love, 50 shades of A, Seth's 250th showcase gala celebration. She would like to thank her family and friends for all the love and support and to her teachers for all their wisdom. Jesse Derron Gold: A Washington state native, Jesse has performed all over the country & favorite credits include: SEUSSICAL (JOJO), INTO THE WOODS (JACK), RIVER'S END (Glen 2), THE DAY BOY & THE NIGHT GIRL (Photogen), A LITTLE NIGHT MUSIC (Henrik), JOSEPH & THE AMAZING TECHNICOLOR DREAMCOAT (Joseph) and most recently with DISNEY CRUISE LINES. Sarah Grace: Is a proud graduate of the Circle In The Square Musical Theatre School here in New York City. Her training also includes 5 years with The Broadway Dreams Foundation, where she has had the privilege to studying and performing along side some of Broadways biggest talents. Sarah recently was seen performing as Belle and Cinderella for the Disney Magic Cruise Line. 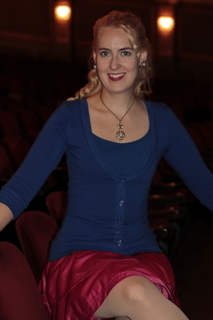 Some of Sarah's credits include: The Fox and Mouse in Aesop's Fables (Circle In The Square Children's Theatre); Mae in Wild Party (Circle In The Square Theatre School); Serena in Fame (RISPA Theatre Company); Natalie in All Shook Up (RISPA Theatre Company); Luisa in The Fantasticks (Columbia College) and many others. Sarah is currently represented by Renee Glicker with the About Artist Agency. She would like to thank the board of Voices for asking her to be a part of this great show! 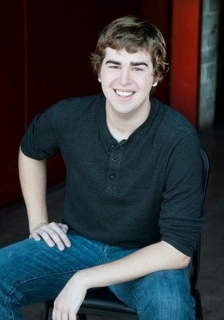 Eric Grapatin: A a Musical Theatre graduate from Syracuse University whose credits include Spike Heels (Syracuse Stage), Lieutenant of Inishmore (Syracuse Stage), Urinetown (SU Drama) Our Town (Black Box Players). 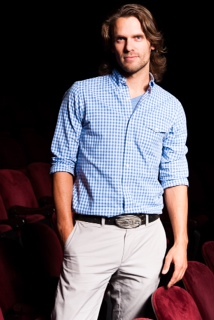 His film credits include Broozed (MustC Productions), Frayed Conscience (ANAT) Directing credits include Swing! (RRCAA) and The Start of Something Big (NBHS) as well as many local commercials and concerts. Eric is excited for this unique and exciting opportunity! Jonathan Harris: A 2007 graduate of Chattanooga State's Professional Actor Training Program. Theatre credits include, Spring's Awakening (Melchior), Peter Pan (Captain Hook), Cat on a Hot Tin Roof (Brick), Pig Farm (Tim). Film credits, Hole in the Wall (Supporting). Jonathan is grateful for this amazing opportunity! 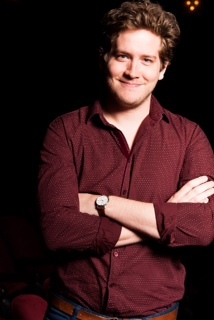 Jon Kelly (Music Director): Excited to make his NYC debut in musical direction with the debut of "Voices From the Aisles"! Recent/Favorite credits include Urinetown(Bobby Strong), Crazy For You(Bobby Child), and My Fair Lady(Freddy Eynsford-Hill). He received his Musical Theatre degree from California State University, Chico and has continued his acting training at the William Esper Studio here in Manhattan. Jon is grateful for this opportunity to share a night of music with you and his family of ushers! 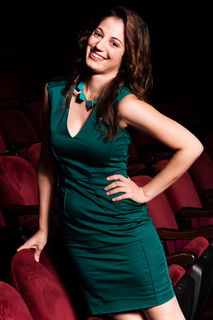 Lisa Lamothe: Made her Off-Broadway debut last year (�Deaf Musical). Other theater credits include Planet Connections Theater Festival, Hangar Theater, and WPPAC. Favorite roles include Sarah (Ragtime) and Lorraine (All Shook Up). Other: Team Umizoomi (NickJr), student/independent films, and concerts. BFA from Pace University. Love to the board, family and friends. Isaiah 12:5. 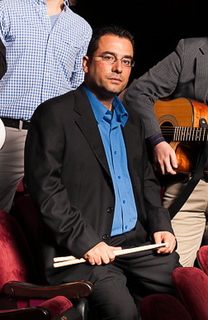 Tony Lepore (Drums): Has been involved in theatre for the past 14years as a producer, composer, stage manager, lighting designer, sound designer, playwright, and tech director in cities across the US, UK, Canada, Italy, and the United Arab Emirates. 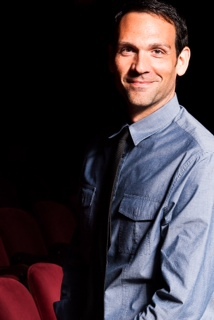 His producing credits include Eva Minemar's Angry Jellow Bubbles (Internationally), WET- The Opera by internationally renowned composer Anne LeBaron at the Walt Disney Concert Hall (Los Angeles), The La Lupa Italian Cultural Arts Festival, Rick Pagano's Eldon Corvet and Hanging Alice, and hundreds more as part of Managing Director duties at Angry Bubble Productions. 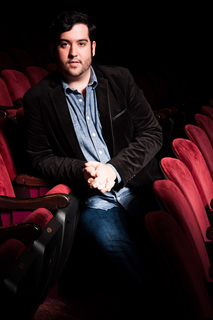 He has worked with various theatre companies including the Naked Angels, Barry Josephson Productions, VoiceChair Productions, the Barrow Street Theatre, etc. Managing Director of Angry Bubble Productions, La Lupa Fest, and ViolaCello StageWorks. His play "The Decoy" was a finalist at The Network's 2012 Playwright's Festival at the Barrow Group Theatre. Christina McDonald (Stage Manager): Christina is a current junior at Marymount Manhattan College, studying Business Management with a focus in Media and Arts Management. Last spring, she interned at the Foxwoods Theatre, where she first heard about Voices from the Aisles and helped to initiate the plans for the project. 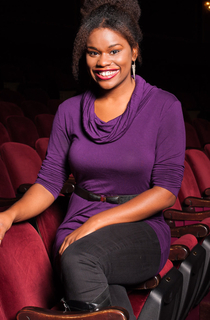 She returned to her favorite theatre this past summer to assist the Management team with several projects and events. Christina is currently a casting intern at Telsey + Company, assisting in numerous departments including Broadway Musicals and Plays, TV and Film, and Commercials. Christina is so excited to assist in coordinating this project and showcasing the talents of her Foxwoods family! Bryan Miner: Was most recently seen at The Hatch Shell performing alongside Tony award nominee Marc Kudisch and Kerry O'Malley in Kiss Me, Kate (Flynt/Gremio). National tours include: The Wizard of Oz (Emerald City Guard/Henry/US Lion) and Skippyjon Jones (Alfredo Buzzito). Other favorite credits include: Twelfth Night (Malvolio), Rocky Horror Picture Show (Dr. "Juan" Scott) and Into The Woods (Steward) starring Rachel York. 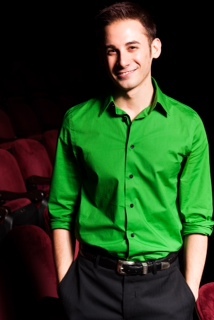 He is a proud graduate of The Boston Conservatory, and holds a BFA in Musical Theatre. Lots of love to his incredible parents, Linda and John. Special shout out to all his wonderful friends, and Meg Pantera, The Agency Inc. Proud member of Actor's Equity Association! Eric Paris (Producer): Eric, currently House Manager of the largest theatre on Broadway, Foxwoods Theatre (�Spider-Man Turn Off The Dark�), happened upon theatre in his 5th grade play, �Meet Me In St. Louis" and never turned back. 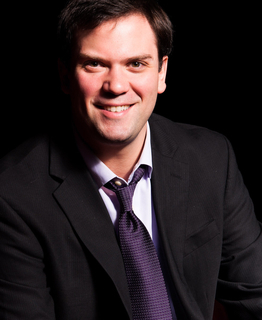 Since graduating from Shenandoah Conservatory, the entertainment industry has taken Eric all over the country, working for prominent theatre companies Blue Man Group (Theatre Operations Manager), Berkshire Theatre Festival (Company Manager), Riverside Theatre (Director of Sales & Guest Services) and Peak Performances @ Montclair State University (Assoc. Producer). In Los Angeles, Eric worked with Fox�s Regency Television (Coordinator of �Malcolm in the Middle� & �The Bernie Mac Show�), Miramax�s Outerbanks Entertainment (�Dawson�s Creek� & The �Scream� Trilogy) and Bumble Ward & Associates (Jr. Press Agent for The Farrelly Brothers, Quentin Tarantino and �Memento� at The Sundance Film Festival). In Eric�s spare time, he owned and managed Tomkat�s Urban Diner, a downtown bistro in Vero Beach, Florida. Eric has a passion for managing talented people, and is excited to have Voices From The Aisles showcase what he has the opportunity to see on a daily basis. His 5 year old son Dylan, while not in Kindergarten, functions as Mayor of Foxwoods Theatre. 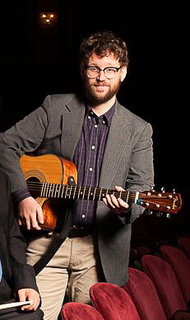 Adam Sarsfield (Guitar): Born in Rochester, New York, Adam now lives with his wife in Brooklyn. The couple met when they were both ushers at the then Hilton (now Foxwoods) Theater during the run of Mel Brooks' Young Frankenstein. Adam has been playing guitar since the age of fifteen and also enjoys playing the ukulele to relax after a long day at the theater. Although he studied science in college for his bachelors degree, music and art has always been an important part of his life and he looks forward to sharing the stage with so many of his talented friends and coworkers for the Voices From the Aisles showcase. 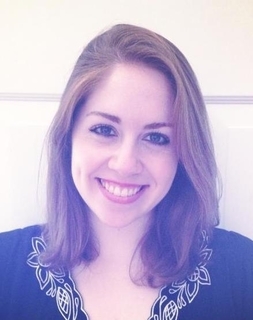 Erin Sol�r: Erin loves creating roles and new work, but dreads writing bios and has been known to bribe her friends to do it for her. In NYC, Erin has worked with many companies and festivals, including Chris Wade Music, MTWorks, Planet Connections, RALProductions, Fringe and The Late Show with David Letterman. David Toombs: Is happy to be a part of this endeavor called "Voices" and is hoping that new doors will continue to open. Some of his favorite recent experiences include Show Boat at Goodspeed Opera House, Things As They Are at NYMF, and three years performing in Osaka, Japan. David is currently seeking representation. Veronica Wilt: Is uber excited to be performing with the unique and talented cast of "voices in the aisles." She is a native of San Diego and a recent graduate from Indiana University of Pennsylvania with a BA in Theatre Performance. Some past credits include: Eleemosynary, Sweet Charity and A Year With Frog and Toad. This California gal is prepared to embrace all that the Big Apple has to offer. Special thanks to cast and crew for your passion and dedication to this project. Carpe Diem! 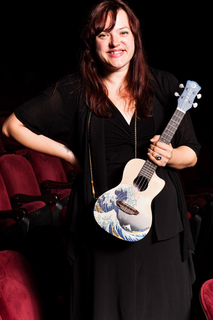 Rita Wozniak: Is a comedic actor/singer & ukulele-ist, and also a proud member of AEA and IATSE 306. A native of Atlanta, GA and has survived NYC for 10+ years. Please visit www.ukulelelulu.com for more info.